Can a fence make you happy? 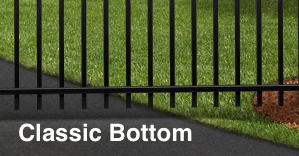 If our Camarillo Classic™ can't do it, be assured no fence can. Regardless, in our humble opinion this gorgeous fence helps create an unparalleled atmosphere of relaxation. Let the Camarillo Classic™ bring the flavor of the great southwest to your outdoor paradise.